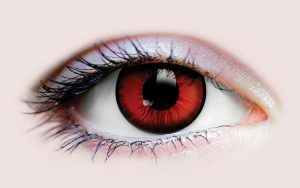 Classic Deluxe Custom Fangs are designed for people with average to larger teeth. 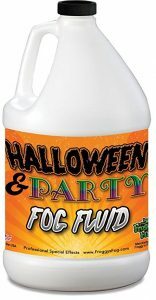 Halloween & Party Fog Fluid. 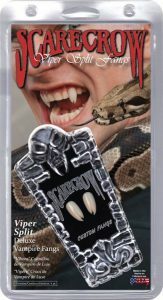 Sabers Extra Long Deluxe Custom Fangs are 1 inch long from gumline to tip and are designed for an extreme look. 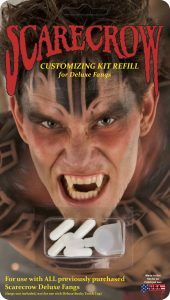 Small Deluxe Custom Fangs are designed for people with smaller teeth, or those looking for a subtler look. Buy this test product. It is amazing! 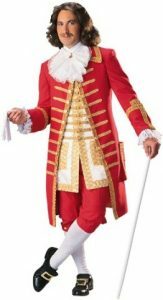 COSTUMES RULE! 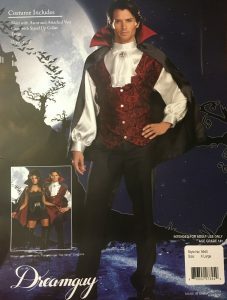 Viper Split Deluxe Custom Fangs are brand new, totally unique, and very wicked! Each fang cap is split into two prongs. 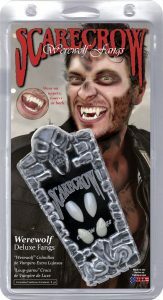 Werewolf Deluxe Custom Fangs come with 1 pair of Classic and 1 pair of Small Deluxe Custom Fangs.